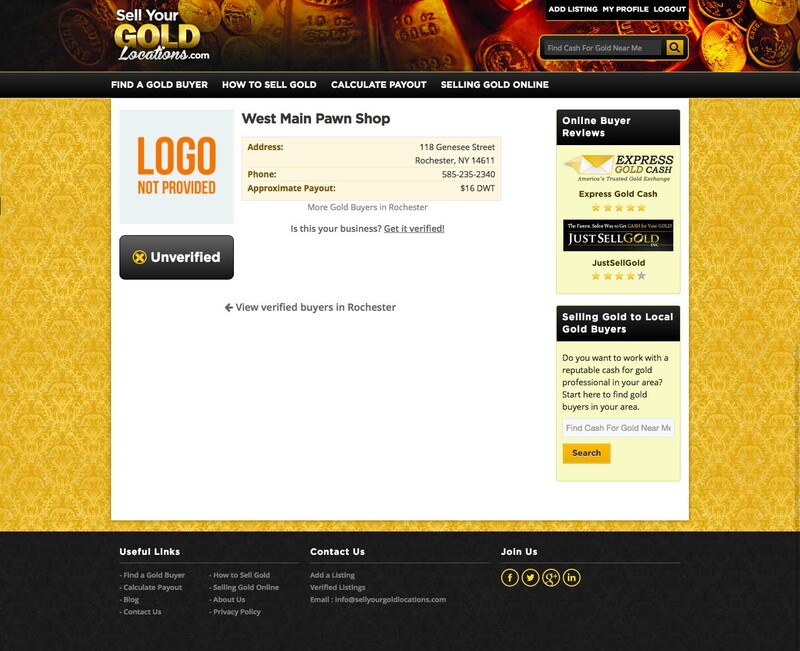 The list of pawnshops and diamonds buyers in any city can usually be characterized as extensive. 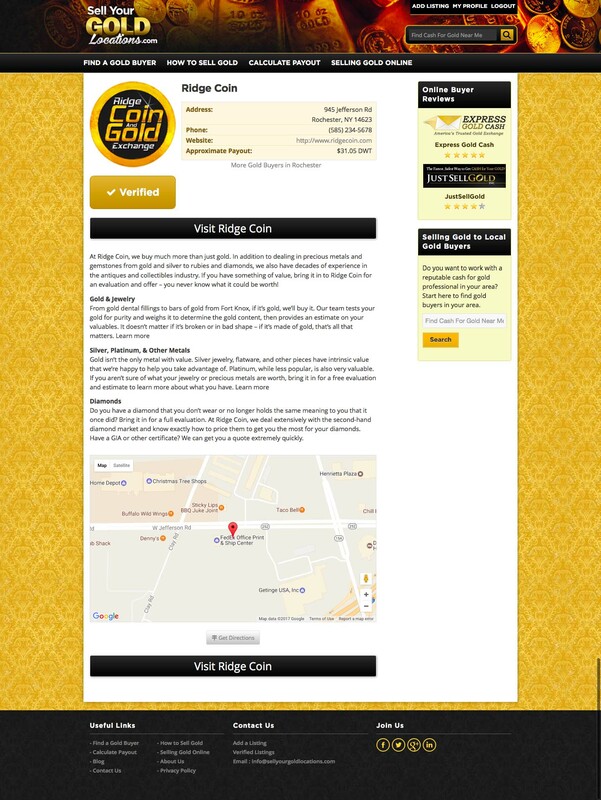 Our verified listings allow you to stand-out amongst the competition by having your business’ information listed above both the free listings and the online diamonds buyers. Similar to an Internet search, users of our website don’t generally look past the first few options and a verified listing will ensure you are at the top of the page for your city. To set up your subscription with Paypal, click on the secure Paypal checkout button below. If you haven’t already, fill out our listing form here after purchasing your subscription, and we will contact you to get more information from you and make sure your listing looks great. 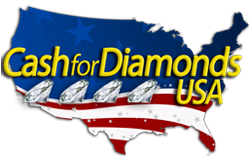 Thank you for subscribing, and welcome to the Sell Your Diamonds Locations family! Interested in expanding your online marketing even more? 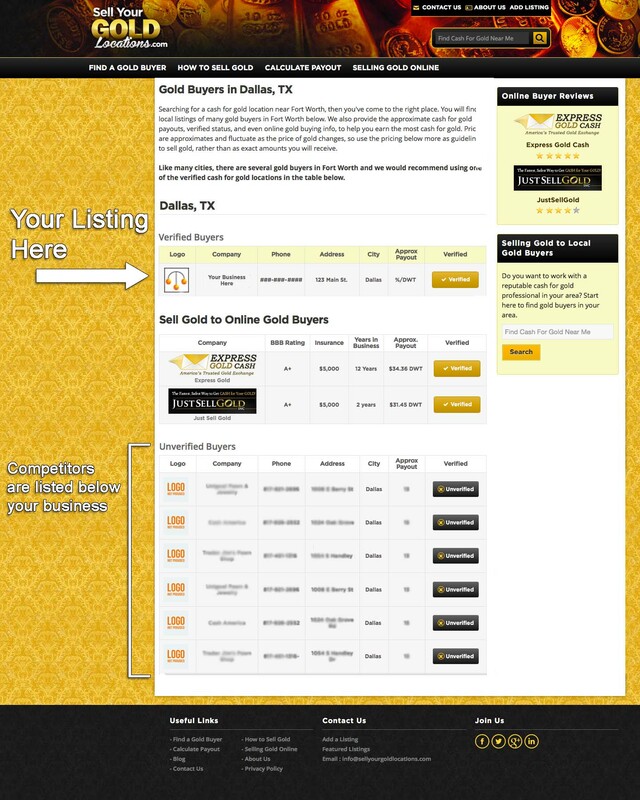 We can run advertising to our listing pages, your websites, or help you rank higher in the search engines! Contact us today at info@sellyourdiamondlocations.com for more information.